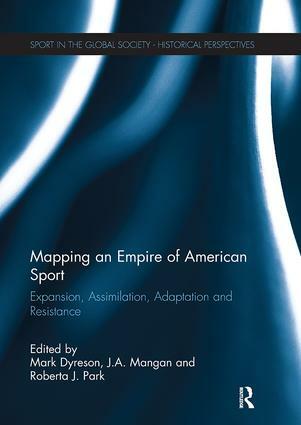 Mark Dyreson is Professor of Kinesiology and History at the Pennsylvania State University, an academic editor of the International Journal of the History of Sport, a former president of the North American Society for Sport History, and the author of several books on the history of sport. J.A. Mangan, Emeritus Professor, University of Strathclyde, FRHS, FRAI, D. Litt.l is Founding Editor of the International Journal of the History of Sport and the series Sport in the Global Society, author of the globally acclaimed Athleticism in the Victorian and Edwardian Public School, The Games Ethic and imperialism and ‘Manufacturing ‘Masculinity: Making Imperial Manliness, Morality and Militarism. He hasauthored and edited many studies of politics, culture, and sport. Roberta Park is Emeritus Professor University of California, Berkeley, former president of the American Academy of Kinesiology and Physical Education, vice president of the International Society for the History of Physical Education and Sport, and author of numerous historical articles.